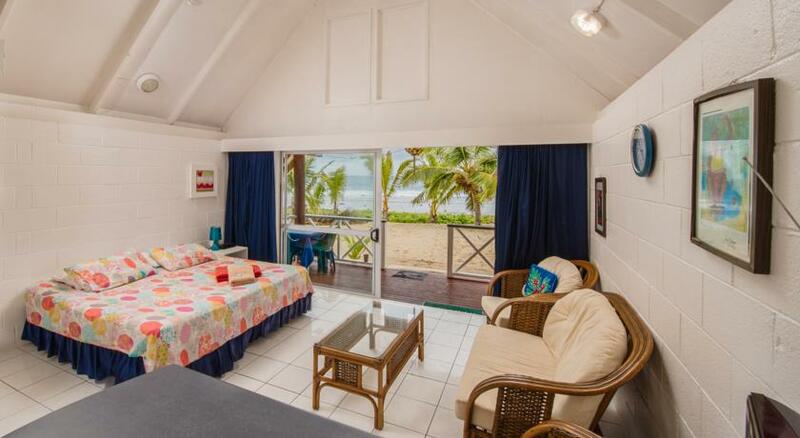 Welcome to Sunrise Beach Bungalows, Cook Islands! Family friendly property - children are welcome! 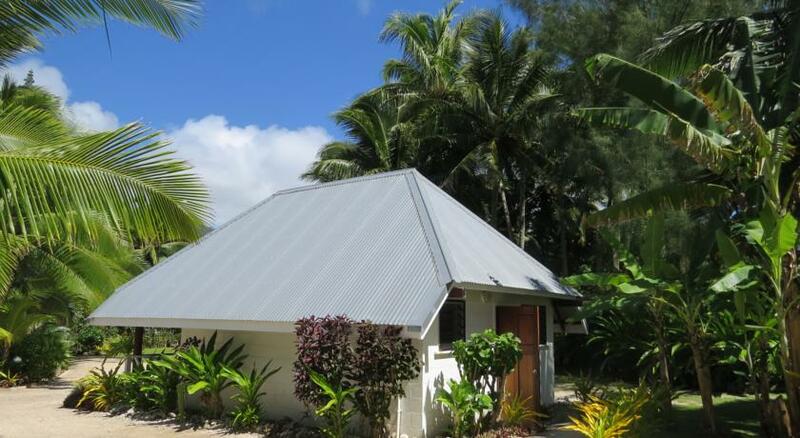 Sunrise Beach Bungalows is a private and absolute oceanfront resort located in Rarotonga, Cook Islands. 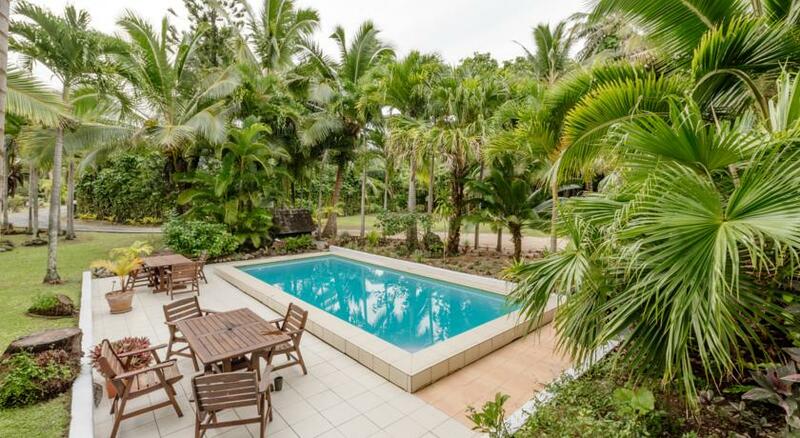 We are 200 meters off the main road, ensuring a quiet and peaceful holiday stay. All guests will enjoy a free tropical continental breakfast on the first morning of their arrival. 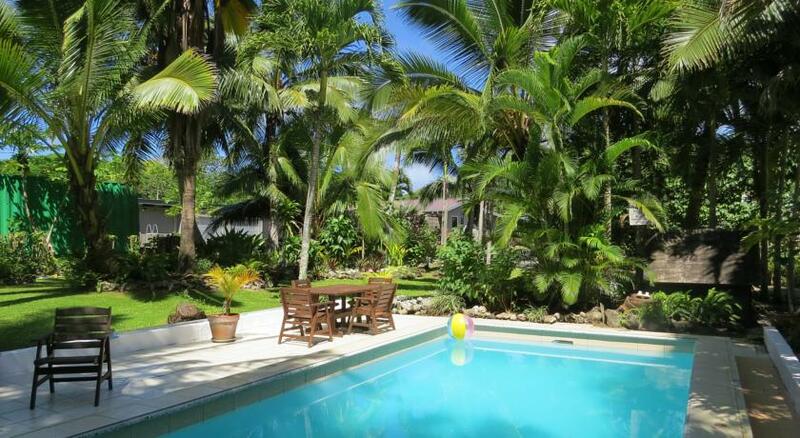 Especially, any booking over 7 nights receives 3 DAY car hire (one car per booking). 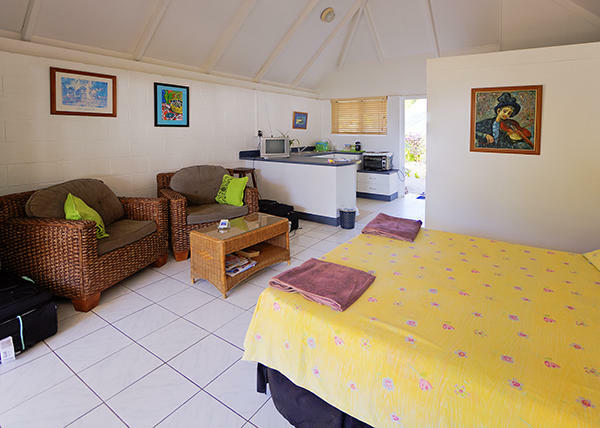 Guests can also take advantage of our complimentary snorkeling equipment, the guest library, laundry and the gas barbecues during their stay. 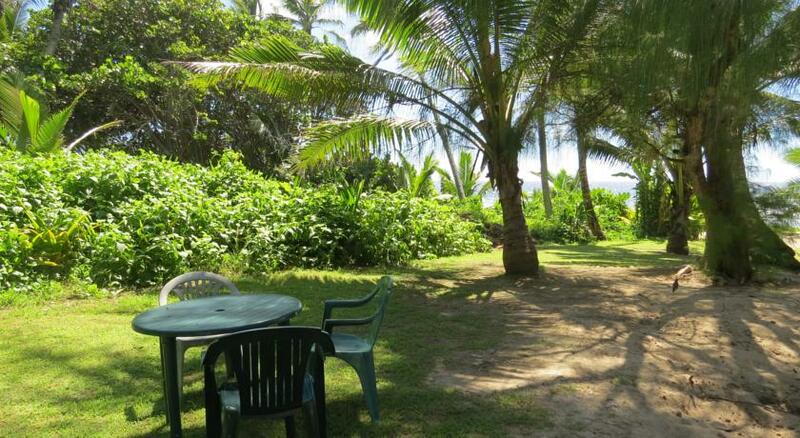 We also offer air-conditioning ocean front bungalow (extra cost charged) and two bed-room family house on the premises. 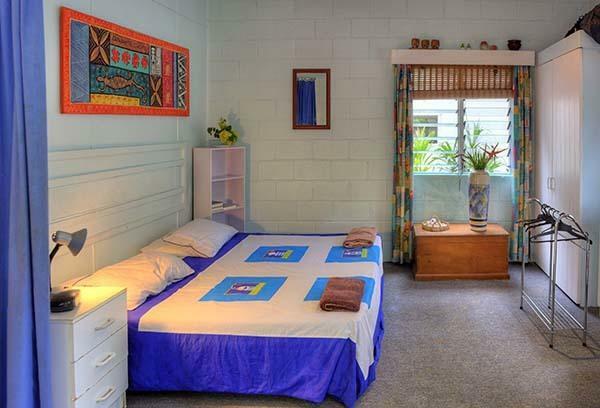 Our vacation bungalows are fully equipped self catering units surrounded by a tropical garden with a swimming pool. 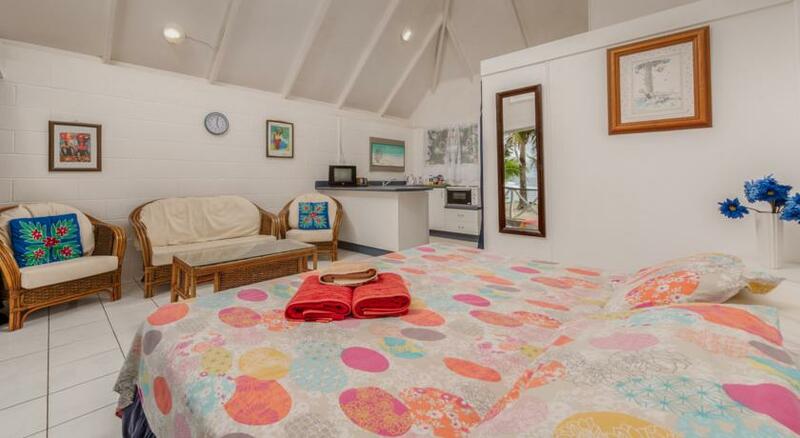 All bungalows have a queen and single bed or can be configured to suit, and all boast a covered patio to enjoy a cocktail or simply relax. Along with the sun, soak in unobstructed views of the water. Watch the hump back whales from your balcony as they migrate anually between June and November, from Kaikoura NZ to Alaska. 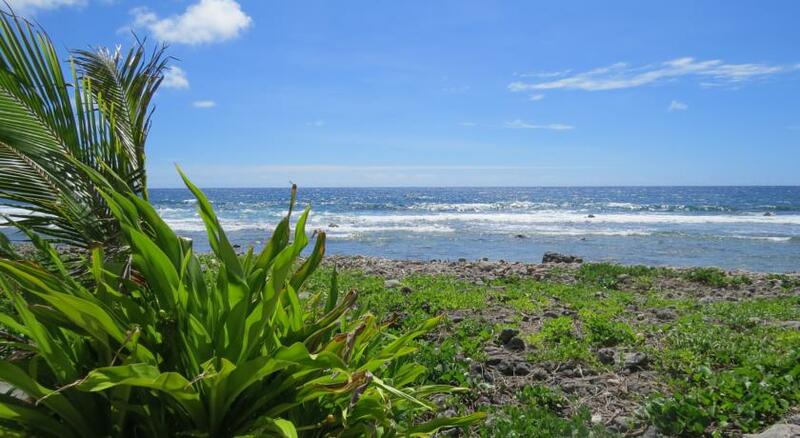 Complimentary snorkelling equipment is provided in addition to our on-site Tour Desk. Sunrise Beach managers live on site and can provide 24 hours service or assistance as required. - Wifi Hotspot (best access available near reception). We are Telecom Wifi Hotspot. Cards can be purchased from the Kia Orana Store (20 metres down the road) or from any Telecom outlet or stockist.